Supplementing with alpha lipoic acid can result in measurable gains in both strength and muscularity. Therefore, alpha lipoic acid could be very beneficial in your quest for muscle growth. Typical bodybuilders have at least heard something about alpha lipoic acid, also commonly referred to as ALA, yet many do not know the variety of benefits one can obtain from supplementing with ALA. Alpha Lipoic Acid is known by a variety of names including thioctic acid, 1, 2-dithiolane-3-pentanoic acid, 1, 2-dithiolane-3 valeric acid, and 6, 8-thioctic acid. As a sulfur compound,it comprises caprylic acid, a medium chain fatty acid, with two sulfur atoms stuck on the ends and it is capable of binding and inactivating heavy metals like mercury, cadmium, excess iron and excess copper. 4 Where Can I Find ALA? Scientists first discovered the importance of ALA in the 1950s, and recognized it as an antioxidant in 1988. Alpha Lipoic Acid is a sulfurous fatty acid that would have been classified as a vitamin except for the fact that it can be synthesized within the human body. Alpha lipoic acid functions as a co-factor for energy production as lipomide and is also called lipoate when functioning in this manner. ALA also occurs naturally as a compound that is synthesized by plants and animals, including humans. This feature allows alpha-lipoic acid to function as a cofactor for several important enzymes as well as an effective anti-oxidant. Only the R-isomer of ALA is synthesized naturally. * Alpha-Lipoic has a chiral center, which means it can be found in 2 mirror image forms (S- and R-a-lipoic acid) that cannot be superimposed on each other. Among its primary function in the body, where it is converted into lipoamide, is to activate enzymes that handle energy producing molecules, such as pyruvate, and to break down products from amino acids. Basically, ALA helps us collect energy and nutrients from the food we eat. The body needs ALA to produce energy. It plays a crucial role in the mitochondria, the energy-producing structures in cells. The body actually makes enough ALA for these basic metabolic functions. This compound acts as an antioxidant, however, only when there is an excess of it and it is in the “free” state in the cells. But there is little free ALA circulating in your body, unless you consume supplements or get it injected. Foods contain only tiny amounts of it. What makes ALA special as an antioxidant is its versatility; it helps deactivate an unusually wide array of cell-damaging free radicals in many bodily systems. In particular, ALA helps protect the mitochondria and the genetic material, DNA. As we age, mitochondrial function is impaired, and it is theorized that this may be an important contributor to some of the adverse effects of aging. ALA also works closely with vitamin C and E and some other antioxidants, “recycling” them and thus making them much more effective. As mentioned earlier, ALA plays a large role as an anti-oxidant. It is such a powerful antioxidant that some researches have dubbed it the “universal antioxidant.” Through studies, ALA has shown that it works in conjunction with vitamins C and E, to help improve their effectiveness in combating free radicals, as mentioned earlier . Research has even shown that ALA can actually replace the function of vitamin C in animals deficient in vitamin C . This is especially important to bodybuilders because intense physical activity such as weight training or extreme cardio can cause extreme oxidative damage, letting loose many free radicals in the body. That is why antioxidants, both natural and supplemental, are critical to bodybuilders. When ALA is on it own it can directly neutralize free radicals both in membranes and insides cells because it is both water and fat soluble . This ability to neutralize free radicals is an extremely important benefit of lipoic acid. Yet it is in union with other antioxidants that ALA can really show its strength. ALA can mimic other antioxidants but also improve their performance because it replenishes them . When one antioxidant molecule neutralizes a free radical, it actually turns it into a stable form. Then in a chemical reaction the free radical is eventually passed off to lipoic acid or glutathione molecule, which allows the original antioxidant to regenerates and neutralize more free radicals while ALA washes out the offending free radical . Glutathione, ALA’s wingman in this disposal process, is also a critical antioxidant. Alpha Lipoic Acid supplementation has been shown to boost glutathione levels, which drop significantly during periods of exercise induced stress by up to 50% . When large amounts of free alpha-lipoic acid are available, such as with supplementation, alpha-lipoic acid is also able to function as an antioxidant . Alpha-dihydrolipoic acid (DHLA) is the reduced form of alpha-lipoic acid, and is the only form that functions directly as an anti-oxidant. Free alpha lipoic acid is rapidly taken up by cells and reduced to DHLA intracellularly. Because DHLA is also rapidly eliminated from cells, the extent to which its antioxidant effects can be sustained remain unclear. 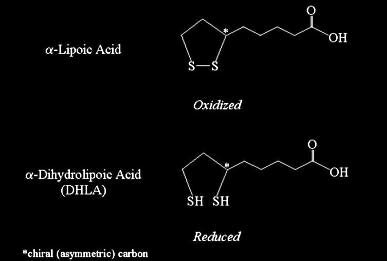 Although only DHLA functions directly as an antioxidant, alpha lipoic acid may have indirect antioxidant effects . ALA also increases intracellular glutathione levels. Glutathione is an important water-soluble antioxidant that is synthesized from the sulfur-containing amino acid cysteine. The availability of cysteine inside a cell determines its rate of glutathione synthesis. DHLA has been found to increase the uptake of cysteine by cells in culture, leading to increased glutathione synthesis . Although increases in intracellular DHLA are short-lived, DHLA may also improve intracellular antioxidant capacity by inducing glutathione synthesis. A test was conducted to determine ALA’s association with insulin sensitivity. 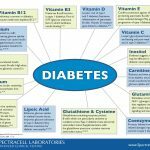 In type II diabetes, elevated blood glucose levels result from insulin resistance rather than a lack of insulin, and a number of treatments have been aimed at improving insulin sensitivity. There is limited evidence that high doses of alpha-lipoic acid can improve insulin sensitivity in individuals with type II diabetes. Intravenous infusions of 600 mg and 1,000 mg of alpha-lipoic acid to type II diabetics, improved insulin sensitivity by 27% and 51%, respectively compared to a placebo (15,16). An uncontrolled study of 20 type II diabetics found that oral administration of 1,200 mg of alpha-lipoic acid for 4 weeks significantly improved measures of glucose metabolism, and a placebo-controlled study of 72 type II diabetics found that oral alpha-lipoic acid at doses of 600 mg/day, 1,200 mg/day or 1,800 mg/day for 4 weeks improved insulin sensitivity by 25% (17,18). However, there were no significant differences between the three doses of alpha-lipoic acid tested. All of these studies were conducted using alpha-lipoic acid. Data from animal studies suggests that the R-isomer may be more effective in improving insulin sensitivity than the S-isomer, but this possibility has not been tested in any published human trials (19,20). ALA is being studied in animals and in humans as a preventive and/or treatment for many age-related diseases. These range from heart disease and stroke to diabetes and Parkinson’s and Alzheimer’s disease, as well as declines in energy, muscle strength, brain function, and immunity. It is also being studied for HIV disease and multiple sclerosis. In Germany, in particular, it is already prescribed to treat long-term complications of diabetes, such as nerve damage, thought to result in part from free-radical damage; there is also evidence that it can help decrease insulin resistance and thus help control blood sugar. Many studies have yielded promising results; others are still underway. Alpha lipoic acid also alleviates Glaucoma (after 1 month of treatment with 150 mg of Lipoic Acid per day 47% of persons with Glaucoma exhibited improvement in visual acuity, visual field color discrimination and increased lacrimal tear fluid) . Where Can I Find ALA? ALA can be found in foods such as meats and vegetables, especially spinach. It is easily absorbed into the bloodstream, and it can also cross the blood brain barrier. Two of the best natural sources of lipoic acid are yeast and liver, but the body can synthesize it when necessary and it is available as a supplement. Most alpha lipoic acid in food is derived from lipoamide-containing enzymes and is bound to the amino acid, lysine (lipoyllysine) . Meat that is rich in lipoyllysine includes kidney, heart, and liver, while plant sources that are rich in lipoyllysine include spinach, broccoli, and tomatoes. Somewhat lower amounts of lipoyllysine have been measured in peas, brussel sprouts, and rice bran . Digestive enzymes do not break the bond between alpha lipoic acid and lysine very effectively. Thus, it has been hypothesized that most dietary alpha lipoic acid is absorbed as lipoyllysine, and free alpha-lipoic acid has not been detected in the circulation of humans who are not taking alpha-lipoic acid supplements . 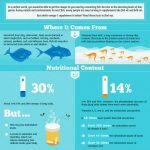 Although alpha-lipoic acid is found in a wide variety of foods from plant and animal sources, quantitative information on the alpha-lipoic acid content of food is limited. In the table below, the alpha-lipoic acid content of some foods was calculated from measurements of lipoyllysine in freeze-dried food samples . Alpha lipoic acid from supplements is rapidly absorbed, rapidly metabolized, and rapidly cleared from plasma and tissues, suggesting that it should be taken in divided doses throughout the day, rather than in a single daily dose. Recommendations for the use of alpha lipoic acid as an antioxidant can range from 50 mg/day to 400 mg/day. In the only published study to examine the antioxidant effects of alpha-lipoic acid in healthy humans, 600 mg/day for 4 months significantly decreased several biomarkers of oxidative stress compared to baseline . However, the antioxidant effects of lower doses have not been well studied in humans. Recommended dosages of alpha lipoic acid as an antioxidant can range from 100mg to 300mg daily, which could set you back between $10 and $30. However, some manufacturers are now claiming that in considerably higher dosages, around 600-750mg daily, alpha lipoic acid can increase insulin sensitivity. ALA deficiency has not been described, suggesting that humans are able to synthesize enough to meet their needs for enzyme cofactors . Though ALA so far appears to be safe, the long-term effects of large supplemental doses are unknown. Alpha Lipoic Acid has few if any side effects . Very high doses have been known to cause nausea and upsets stomachs, and excess doses can lead to low blood sugar levels. On the brighter side, ALA can sometimes lead to a general relaxing and mild feeling, and lead to a better overall feeling of well-being . Supplementing with alpha lipoic acid can result in measurable gains in both strength and muscularity. Taking ALA before and during a work out will increase performance and help shuttle nutrients faster to your muscles. Alpha lipoic acid plays a big role as one of the best antioxidants available and is beneficial to the human body. Therefore, alpha lipoic acid could be very beneficial in your quest for muscle growth. Kramer K, Packer L. R-alpha-lipoic acid. In: Kramer K, Hoppe P, Packer L, eds. Nutraceuticals in Health and Disease Prevention. New York: Marcel Dekker, Inc.; 2001:129-164. Packer L. alpha-Lipoic acid: a metabolic antioxidant which regulates NF-kappa B signal transduction and protects against oxidative injury. Drug Metab Rev. 1998;30(2):245-275. (PubMed). Bast A, Haenen GR. 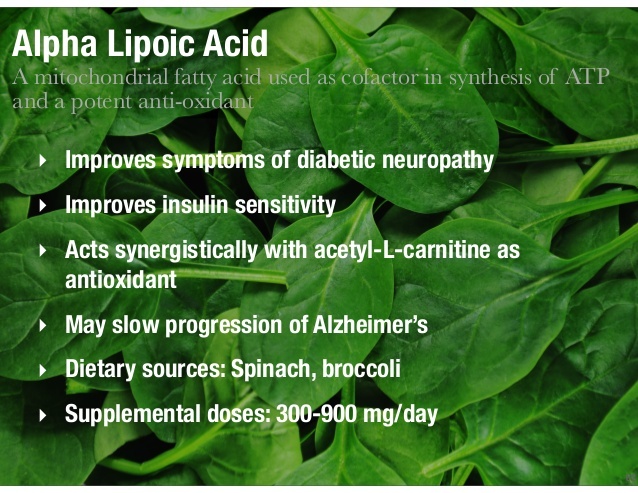 Lipoic acid: a multifunctional nutraceutical. In: Kramer K, Hoppe P, Packer L, eds. Nutraceuticals in Health and Disease Prevention. New York: Marcel Dekker, Inc.; 2001:113-128. Packer L, Kraemer K, Rimbach G. Molecular aspects of lipoic acid in the prevention of diabetes complications. Nutrition. 2001;17(10):888-895. (PubMed). Mizuno M, Packer L. Effects of alpha-lipoic acid and dihydrolipoic acid on expression of proto-oncogene c-fos. Biochem Biophys Res Commun. 1994;200(2):1136-1142. (PubMed). Hagen TM, Ingersoll RT, Lykkesfeldt J, et al. (R)-alpha-lipoic acid-supplemented old rats have improved mitochondrial function, decreased oxidative damage, and increased metabolic rate. Faseb J. 1999;13(2):411-418. (PubMed). Suh JH, Shigeno ET, Morrow JD, et al. Oxidative stress in the aging rat heart is reversed by dietary supplementation with (R)-(alpha)-lipoic acid. Faseb J. 2001;15(3):700-706. (PubMed). Hagen TM, Liu J, Lykkesfeldt J, et al. Feeding acetyl-L-carnitine and lipoic acid to old rats significantly improves metabolic function while decreasing oxidative stress. Proc Natl Acad Sci U S A. 2002;99(4):1870-1875. (PubMed). Liu J, Head E, Gharib AM, et al. Memory loss in old rats is associated with brain mitochondrial decay and RNA/DNA oxidation: partial reversal by feeding acetyl-L-carnitine and/or R-alpha -lipoic acid. Proc Natl Acad Sci U S A. 2002;99(4):2356-2361. (PubMed). Rett K, Wicklmayr E, Maerker P, Russ D, Nehrdich D, Hermann R. Effect of acute infusion of thioctic acid on oxidative and non-oxidative metabolism in obese subjects with NIDDM. Diabetologia. 1995;38:A41. Jacob S, Henriksen EJ, Schiemann AL, et al. Enhancement of glucose disposal in patients with type 2 diabetes by alpha-lipoic acid. Arzneimittelforschung. 1995;45(8):872-874. (PubMed). Hofmann MA, Schiekofer S, Kanitz M, et al. Insufficient glycemic control increases nuclear factor-kappa B binding activity in peripheral blood mononuclear cells isolated from patients with type 1 diabetes. Diabetes Care. 1998;21(8):1310-1316.